Our vision is simple; to be the global leader in premium beef production, meeting the needs of the present without compromising the future. At Rangers Valley we have a deep commitment to the environment and to the world we’re creating for future generations. We believe it’s the core to every aspect of our business and critical to our future success. Rangers Valley acts in accordance with the highest possible ethical standards in optimising environmental processes. 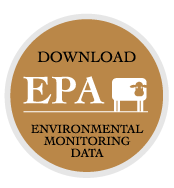 We’re licensed and audited by Australia’s strict environmental legislation and our industry’s quality assurance program, the National Feedlot Accreditation Scheme, to minimise soil, water and air pollution. We continually strive for improvement and keep abreast of any developments in legislation, codes of practice, guidelines, technology, best management practice and science as they occur. We’re leaders in our approach and we are continually working to find new ways to make these strategies even more efficient.